Bothered by a broken garage door spring, loose cables etc., or has your garaged door opener been behaving erratically lately? Don’t worry; we can fix it all for you! ASAP Garage Door Repair Service in Point Pleasant (08742) is dedicated to provide you the highest quality garage door services and repairs. We are happy to help you get back on track when your garage door interrupts your routine! What Makes ASAP Garage Door Repair a Preferred Company in Point Pleasant? Our honesty, integrity and courteous service make us stand apart from the rest! 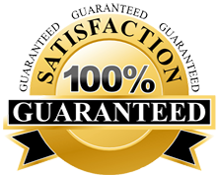 At ASAP Garage Door Repair, we pride in our quality workmanship. We believe in surpassing the expectations of all our clients in Point Pleasant (08742) area through our quality and exceptional services. When you contact us for any garage door related problem, we make sure that we not only service the given problem, but also take out time to inspect and perform other minor repairs that might just be necessary for your garage door. We also provide expert guidance to properly maintain your garage door. Why Hire The Services Offered By ASAP Garage Door Repair In Point Pleasant? How to Find a Garage Door Repair Technician in Point Pleasant? For all garage door maintenance related issues in 08742 zip code area, please call ASAP’s front desk at (732) 322-8877. This entry was posted in Point Pleasant on March 28, 2014 by admin.